There are plenty of gifted artists already established in the music industry. But as it turns out, some of the greatest talents hide in plain sight. 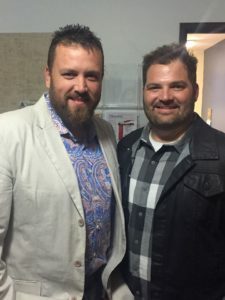 Aaron Gray and Josh Arnett are two construction workers from Indiana who grew up singing in Southern gospel groups. The friends first met as teens, when they discovered their shared loved of God and music. 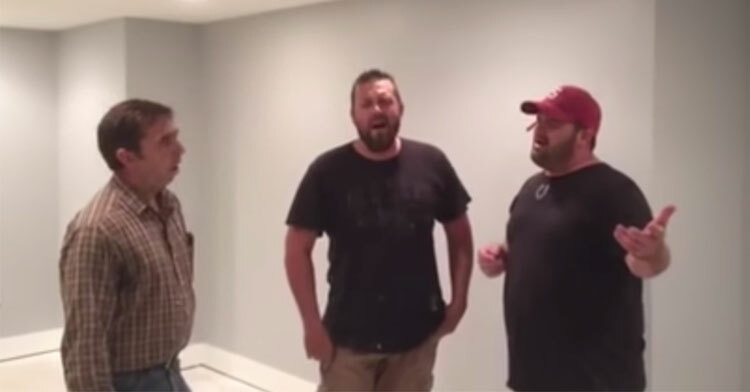 Now, as adults, they work together as contractors and have made quite the name for themselves — The Singing Contractors, to be exact — by belting it out on the job. 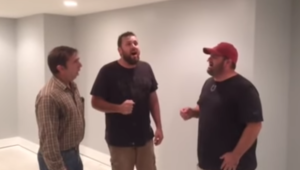 In 2015, Aaron and Josh uploaded a video to social media featuring their rendition of “How Great Thou Art,” and their performance was so stunning that it quickly went viral. 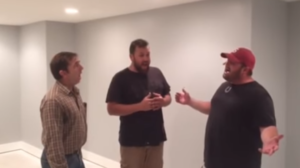 Joined by their co-worker, Paul Bigger, The Singing Contractors jumped right into the song, sounding near-angelic with their perfect harmonization. Aaron and Josh obliged, posting a number of other covers on Facebook and YouTube in the years since. But it wasn’t just regular people who wanted to hear more from them. Their incredible voices recently caught the attention of Paul Sizelove, president of Gaither Music Group, who struck up a recording deal with the pair. 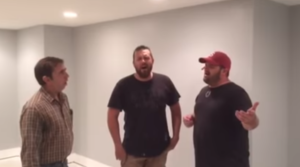 With Sizelove’s help, The Singing Contractors put out their debut album “Workin’ on a Building: Hymns and Gospel Classics” in February. While they aren’t quite ready to quit their day job, Aaron and Josh couldn’t be more thrilled! Watch their beautiful cover of the worship song below, and don’t forget to share with anyone who needs a little lifting up.